Police are seeking witnesses after a motorcycle rider received serious injuries from a collision with a car yesterday evening. Initial investigations indicate, at around 5 pm at the intersection of Creekside Boulevarde and Snapdragon Street Currimundi. The motorcycle was travelling in a northerly direction along Creekside Boulevard when the crash occurred with a white, Ford, Maverick, station-wagon. The injured rider was subsequently transported from the scene, to the Sunshine Coast University Hospital for medical treatment. 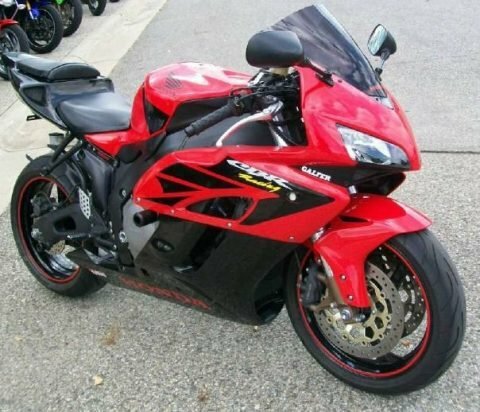 Police are looking to speak with anyone who saw the red and black Honda motorcycle (similar to the one pictured) in the vicinity of Creekside Boulevard, Saffron Drive, or Erang Street at approximately 5 pm.